Being an Account of the Journey and Battles of a Reserve Division in Europe, Africa and Asia. Edited by Lieut.-Colonel C.S. Durtnell. 8vo., First and Sole Edition, on laid paper, with a coloured frontispiece, 214 monochrome plates on 80, 14 illustrations by Cooper Bell in the text, 20 maps (9 folding) by Fraser and endpaper maps; cloth, gilt back, divisional emblem blocked in black and white on upper board, a very good, clean copy in dustwrapper, the latter lightly creased at extremities. 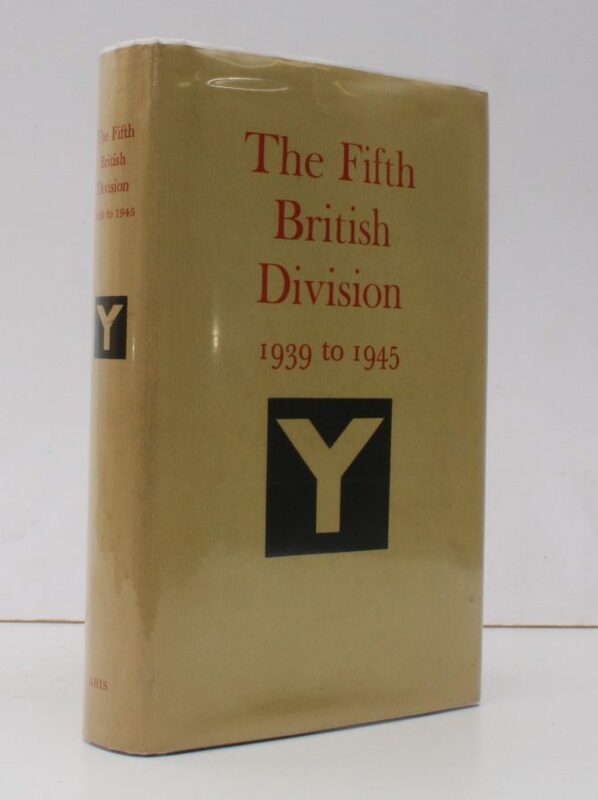 Fifth Division almost certainly holds the record as the most travelled British formation of WWII. Starting from its pre-war Northern Command base at Catterick it served in Norway, Belgium, France, Northern Ireland, Madagascar, India, Persia, Sicily, Italy and Palestine. The division finished the war in Germany where it become a key component of BAOR.